I’ve been involved in BJJ, MMA, Judo and wrestling for the past 16 years. In that time I’ve trained and studied alongside UFC champions, Gracie family members, countless black belts and NCAA national champions. I am not easily impressed and go to great lengths to train with the best instructors available. One of those instructors is Stephen Koepfer. I consider Stephen, or as I know him “Sambo Steve”, to be a true treasure of the northeast martial arts world. He is a patient and erudite instructor with a very rare and unique set of skills. Sambo Steve takes exotic and esoteric techniques and makes them digestible for students of all levels. He explains not only the “what” but the “why” – unveiling the deeper philosophy and strategy behind the techniques which make them applicable across all situations. In my mind the moves he’s shown me have been carefully stored and cataloged under the heading of “secret weapons”. I give him my highest recommendation. I have taken part in many coaching and refereeing courses in the past with Wrestling Canada, the governing body of amateur wrestling in Canada and can honestly say that the ASA Referee course taught by Stephen Koepfer was right along those lines. Same professionalism and coherence.The entire course was well constructed and presented. It gave all attendees a better understanding of the rules of Sambo and a better appreciation for it’s referees. I highly recommend the course to anyone interested in refereeing Sambo or any other grappling art. I had the pleasure of having coach Stephen Koepfer visit our club and teach a three hour seminar on leg locks. I would hardly consider myself a beginner having trained and coached grappling/BJJ and MMA for over 15 years and even having the privilege to train BJJ in Brazil and Sambo in Russia, but I must say coach Koepfer's knowledge when it comes to leg locks is second to none. During the seminar Steve went over basic but very important details on positioning and order of execution when going for leg locks and there was much attention to detail at every step from securing a hold to the actual finish. This helped tremendously when we moved on to more advanced setups and entries towards the end of the seminar. Everyone in the class got their fair share of attention and Steve kept everyone attentive and in a good mood. The experience level of the attendees ranged from only a few months training to over ten years, but everyone learned something and I as a coach can vouch for the level of my students definitely improving after this seminar when it comes to leg attacks. We will be happy to have coach Koepfer come back to us in the future. Steve Koepfer gave a truly superlative seminar at my school. He carefully oriented the presentation of techniques and tactics to the needs and skills of the individuals present. He drew from an obvious depth of knowledge concerning the entire range of skills necessary for both self-defense and combative sports, showing consideration of each seminar participant. He was very giving of his expertise; completely different from supposed experts - calling themselves "masters", who will hold a seminar and charge an obscene fee for one or two applications of techniques, over an entire day. Nor did he overwhelm people with minutia at a speed that defied learning, in order to show his depth of skill. Mr. Koepfer paced himself perfectly. He constantly checked with his audience to see if they were "getting it" and to see if they were experiencing what they came wanting to learn about. I was constantly feeling reassured as I watched Steve teach; he was teaching the heart of true Sambo - and yes, though Sambo is based on a collection of the World's fighting techniques, there IS a true Sambo method; the way and style with which Sambo was carefully devised to be taught. Add to this humility and a great sense of humor. I came to see that Stephen Koepfer's Sambo Seminars are not to be missed. I invited him back that day, without even waiting to quiz the students later; it was so darn obvious they had a blast. I have to add this; I'm a picky, middle-aged 25+ year Sambo curmudgeon, who's been around the World doing Martial Arts for 40 years or so. I'm not given to giddy praise. Steve does this, on top of being one of the few folks who reliably sells good quality Sambo jackets and educational material (which he DIDN'T push on us!). His tournaments are the best, fairly run and most organized in the endeavor. I recommend to everyone; get to know this fellow. Mr Koepfer displays a masterful understanding of the dynamic body movements necessary for grappling. Whats most impressive is his ability to relay and teach these skills to others. Complete beginners to the most advanced students have much to learn from Mr. Koepfer. In today’s constant search for answers to grappling questions Stephen Koepfer represents a true gem stone. The Combat Sambo seminar he did in Belgrade was really a unique training and learning experience. First of all, his expertise regarding both ground and standup fighting game is exquisite, and the material he presented offered a lot of new concepts or angles of approach. Secondly, but maybe even more important, his didactic approach is unsurpassed in comparison to what I have seen so far. His program was not only extremely well prepared and all-inclusive, but also flexible enough to take into consideration participants’ special interests and requests. Finally, but not the least important, Steve has great personality which really makes learning from him a true pleasure. Very communicative, down-to-earth guy with fine sense of humor, he really is a dream come true as an instructor. Bottom line is, if you get a chance to train with Stephen Koepfer — don’t miss the opportunity. I can barely wait for the next one!. It is not just throws or locks that define Sambo, but the incorporation of the technical aspects with the principles, strategies and culture of Sambo. Just as one can distinguish BJJ, Judo and Greco-Roman Wrestling, Sambo has its own personality that must be learned in its entirety. I have seen few better examples of this, than training with Stephen Koepfer. He has distinguished himself as an active encyclopedia of Sambo, yet showing the natural innovation that keeps his program relevant in the rapid evolution of Grappling/MMA arts. Training with Stephen is a must for anybody who is serious about Sambo! As Sambo began to “emerge” in the U.S., I purposely avoided all the “Associations” and “Systems” that popped up; concerned with the usual lack of substance, and fatigue over the inevitable marketing or self promotion. The American Sambo Association has, however, established itself as the most relevant organization focused on collaboration and development of the art in the U.S. I would definitely recommend joining and participating in its activities. I visited New York Combat Sambo for the first time, after weeks of facebooking with "Sambo" Steve and "The Real" Tyga Maclin. They treated my friend and I with respect for days and welcomed us Southerners nicely. I want to say that "Sambo" Steve has the tightest, BEST straight ankle lock that I have ever felt. My big reason for choosing this school is to learn Russian Sambo leg locks. Boy was the "Fundamental Leg Lock Class" worth the trip. A bonus was the "Advanced Throwing" Class. Steve is an excellent instructor that is very concept-oriented. His teaching style is more about movements and concepts instead of just "cool" stuff. 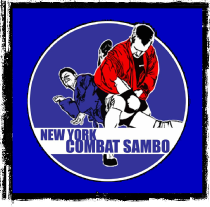 I highly recommend anybody interested in the grappling to GO TRAIN AT NEW YORK COMBAT SAMBO. Stephen Koepfer taught a great seminar for us! I really liked his approach to teaching. I'm going to incorporate a bunch of his learning techniques into our curriculum. His knowledge of leg locks was very insightful. I also loved his approach to grip fighting, takedowns, and transitions to submissions. I feel like we just scratched the surface of his knowledge. Everyone enjoyed the seminar. Stephen is a really good instructor. It was an honor to learn from him! I attended a sambo seminar given by Stephen Koepfer at Team Balance Pittsburgh. As a BJJ practitioner who puts a lot of focus on leg attacks, I was very much looking forward to it. Originally only supposed to be a three hour seminar, Steve extended it to four hours. During this time he showed a variety of throws, set-ups from standing and ground, and attacks that ranged from the obvious leg focused ones to chokes and arm locks as well. The most important aspect in my opinion of the afternoon was Steve’s take on foot positioning when attacking your opponent’s leg; this was the first time I had seen someone put so much emphasis on arguably the most important detail when doing leg locks. I highly recommend attending a “Sambo Steve” seminar to any grappler regardless of discipline. Steve is extremely knowledgeable, shows great detail when instructing, is very attentive when observing others practice technique, personable, and overall a very cool individual. I am just extremely bummed out he isn’t located closer to Morgantown, WV. Thanks again, Steve. This was one of the best seminars I've ever been to. Most other seminars are about looking at familiar territory in new ways which is great. This one was different in that it opened my eyes to completely unexplored territory. For someone who knew little to nothing about Sambo I gained a world of knowledge in about 4 hours. Never once did I feel afraid to ask questions because he kept the atmosphere very relaxed and friendly. The way techniques were explained seemed very clear with the key points emphasized as well as common trouble shooting. To my surprise after the seminar I was instantly able to apply the techniques I had learned effectively. If Steve’s coming your way this is a must go to seminar. Going into the seminar, I wasn't exactly sure what to expect, other than instruction on leglocks. What I ended up getting was two and a half hours of extremely personalized and practical instruction. Mr. Koepfer came off immediately as friendly and interested in the material he was teaching, and this showed in his teaching style. The materials he showed were all unique (to me at least), interconnected, and above all, useful. Never did anything he showed throughout the seminar come off of as a novelty or impractical. I would highly recommended Stephen Koepfer to anyone interested in sambo or no gi grappling. The materials covered will not be forgotten or discarded. I really enjoyed your classes! Your ability to teach is phenomenal. You manage to break everything up into bite-size chunks that make perfect sense when combined with your overall method. I feel like I have learned more in a week with you than I could have learned in a month anywhere else. I just wanted to thank you (and all your students) for taking us in and making us feel like part of the group. Thank you, sir. It was worthwhile. Thanks a ton for having us. Being there was a blast! We only wish we could have trained more or stayed another week (or two). Every time I went to sleep on the way home I dreamed I was doing those throws you showed us, LOL. All your guys were super nice and very professional. Everyone showed lots of respect, much more that we anticipated with us coming from Kentucky. Meeting Serge Gerlach and watching him test was great experience, he is a super guy. There is a huge difference between good teachers and great teachers. It’s the subtle little extra things in the instruction that allow you to understand the technique and use it properly. You and Serge both have that. It makes a world of difference for me and creates a comfortable setting for learning because it keeps the frustration low. Not just some instructor yelling at you to "get out of that hold” over and over again and never telling you how. When you finally say how? They say "you just do it" with no breakdown of what your doing wrong and why it isn’t working for you. We were talking about the difference of what we learned in Catch Wrestling vs. Sambo with you, and how after one day we felt like we had a good understanding of the techniques and could use them somewhat effectively. While in our catch wrestling class took us 3 classes of trial and error to trying to use the techniques correctly. Plus remembering techniques you don't fully understand can be kind of hard. I’m sure you are confident in your teaching skills, but I just wanted to share with you what we truly thought. And that we were all very impressed with your teaching methods. 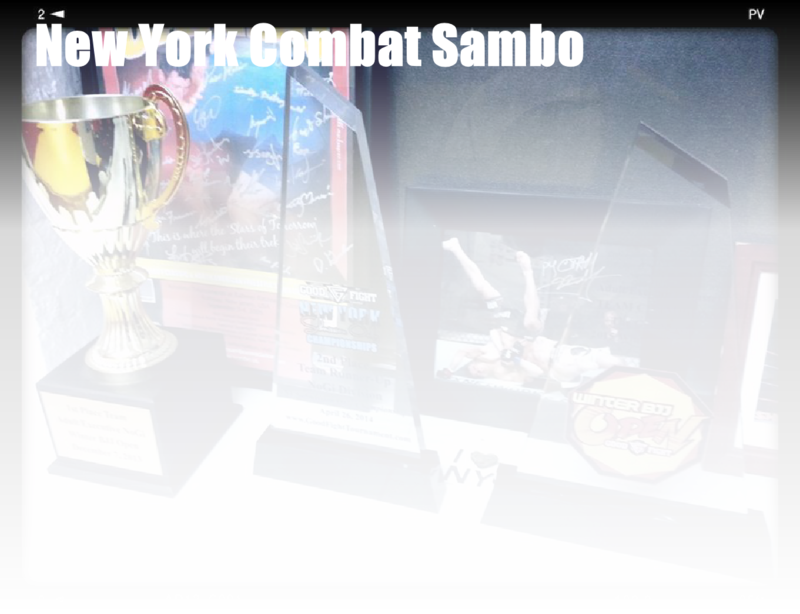 We would like to train with you and the guys at NY Combat Sambo one more time! A big thank you for the Combat Sambo seminar. As a police officer I find Combat Sambo to be so practical it is unbelievable. More police officers need to know about this art. I will be one of the people to educate them. Thanks again. Stephen is a world class grappler with a natural talent for teaching. He easily kept advanced students enthralled without leaving beginners behind. He added insight and detail to even the most overlooked basic techniques. This was his first time at our club, but it will not be his last. I strongly recommend you seek out the opportunity to train with him. Director of Integrated Fighting Systems, Montreal Canada. 3rd Dan Modern Kempo Jujitsu, 1st Dan AkaiRyu Jujitsu, Senior Instructor Russian Systema, Full Instructor Five Animal Shaolin Chuanshu. I was fortunate to participate in an insightful and well-organized seminar hosted by my good friend and teacher Mr. Kevin Secours in Montreal. The seminar was with Mr. Stephen Koepfer, the president of the American Sambo Association. The warm-up exercises blended very well into the techniques that came later. Steve demonstrated the mechanics of every move several time and was in tune with how well we were digesting it all. He mentioned in the beginning of the seminar that successful execution of any technique is about the fine details such as being very close and tight with the opponent, correct placement of feet and a very good grip. He was very attentive to all of the participants and It seemed like every time we looked up, he was right there evaluating our technique and ready to answer our questions. At the end, we were exhausted and tired, but happy and smiling! I truly enjoyed his friendly attitude and easy-going manner. He was very approachable and overall, a truly great instructor. It would be an honor to train again with him in the future and I highly recommend anyone to jump at the opportunity to learn from this great teacher. The Sambo seminar at Aiki Academy was great. Krav Maga is getting a lot of press these days but Combat Sambo is far superior. Being in law enforcement, I need a martial art that gets down to business without the fluff. Combat Sambo is the real deal. Thank you. I want to take the opportunity to thank Stephen Koepfer for the incredible sambo seminar he conducted at our academy recently. I have been to hundreds of seminars in my 18 plus years as a martial artist and Mr. Koepfer’s ranks as one of the best!!! We all took something home with us. Stephen Koepfer’s knowledge of sambo is impressive to say the least. His mastery of technique is without question and combined with excellent approach to teaching, made this seminar not only informative, but fun. He is a true Gentleman. During this seminar, Stephen Koepfer employed all principles in a smooth and effective manner. The Class provided theory and practical application of techniques, especially how to defend against these techniques. Most of all, “Keeping the Gap closed.” This Seminar was presented in a understandable and tactful manner, which underscores Mr. Koepfer's vast knowledge of Sambo. He displayed an articulate, respectful and well mannered demeanor. We in Scranton can attest that “Stephen is truly a Master of Sambo.” The Class was truly inspired. I believe that all those interested in gaining more knowledge of Sambo would greatly benefit from Stephen’s exciting Sambo Seminar. Sensational!!!! Thank you for your patience, and we look foward with anticipation for your return. The real question is “Is the school good?” Yes, hell yes. The main thing that stands out at me is the principle of “going with the flow” and natural body movement. Lots of arts say “we do that,” but this Combat Sambo really seemed to do it well. I was genuinely impressed with the techniques. Lots of leg locks, and cool twisting type moves to counter throws. Lots of the counters involved sacrificing yourself and going with the momentum of the throw/and or twisting your body around the opponent to tie him into knots on the ground. One point that was driven home to me in the class was to not let your opponent have any space standing or on the ground. I really liked hearing the whole idea of thinking of both standing/mat work as one in the same... Stephen showed me how this was true. In the end, I came away very impressed with the school, the students, the teacher, and the art. For anyone in the NYC area interested in Combat Sambo, I recommend the school highly.